While Deontay Wilder credits his “Bronze Bomber” nickname as an homage to fellow Alabama born boxer, the “Brown Bomber” Joe Louis, Tyson Fury feels there’s another reason. 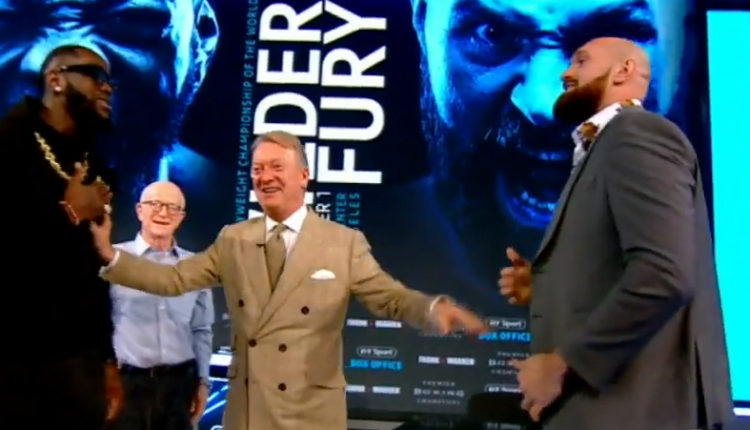 “I’m here to be the best,” Fury said in a recent interview. “If I can’t be the best, then I don’t wanna be the rest. Second place ain’t for me, and third place definitely ain’t for me. But Deontay Wilder is happy to come in the top three. That’s why he calls himself ‘The Bronze Bomber,’ because of his bronze medal in the Olympics. I’d throw that bronze medal in the bin because I didn’t win the gold. Wilder earned a bronze medal at the 2008 Summer Olympics, following a loss to Clemente Russo of Italy.